When you see these lights flashing on the back of a bus, what should you do? 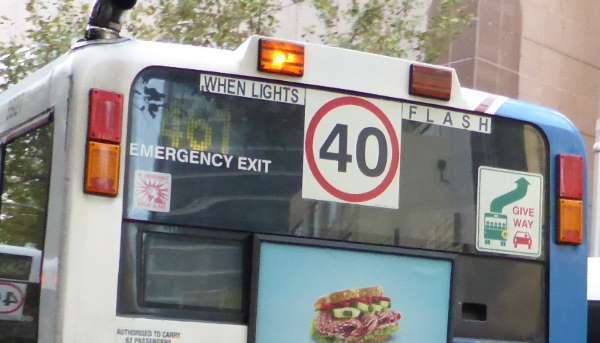 When you see these lights flashing on the back of a bus, what should you do? B. Overtake the bus only while the lights are flashing. C. Drive carefully at no more than 40 km/h. Correct. Pedestrians may have disembarked and might try to cross. Observing the 40km/h speed limit gives you more chance to stop if you need to.